Anthony Street, Easington Colliery. Arson? Yesterday evening at about 10.30pm I was awoken by sirens and flashing blue lights. I stuck my head out of the bedroom window, which is at the front of our house, and saw thick plumes of black smoke. I hurriedly got dressed and went down stairs. My wife was downstairs, and had also heard the commotion, she had looked out of the back door, and saw big plumes of smoke that were so dense she could hardly see the bottom of our road. 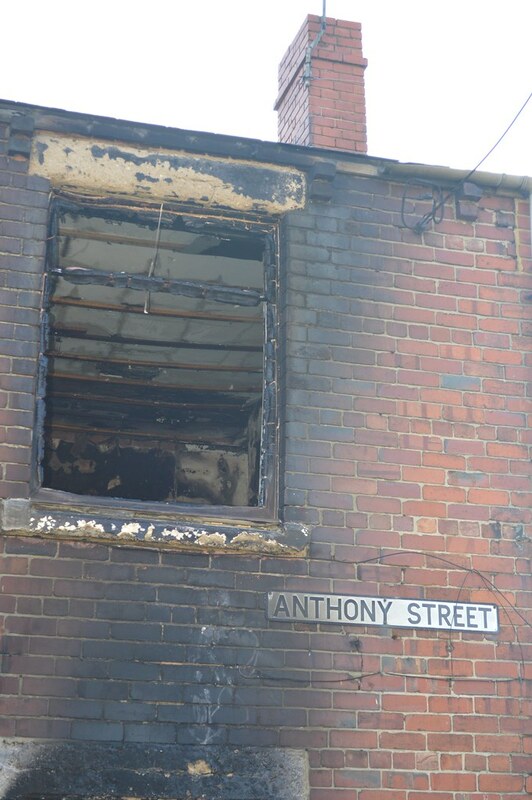 I ventured down to the bottom of our street and watched while firemen tackled the blazing house at 1 Anthony Street. Flames were shooting out of the top floor windows. A good number of our neighbours were out watching the disturbing incident. 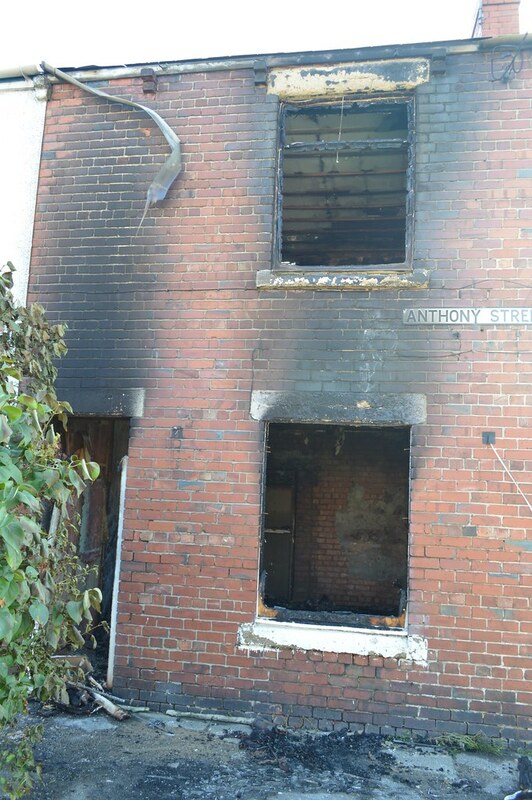 The only good news is the fact that 1 Anthony Street is an unoccupied house. The house has not been secure since the middle of March of this year, with the back door open for all and sundry to enter. A number of other local residents, and myself, have spoken to the council about this property, and also to our local councillors – but to no avail. Our concerns have fallen of deaf ears. The result. Another burnt out house. Why our concerns have fallen on deaf ears, I have no idea. 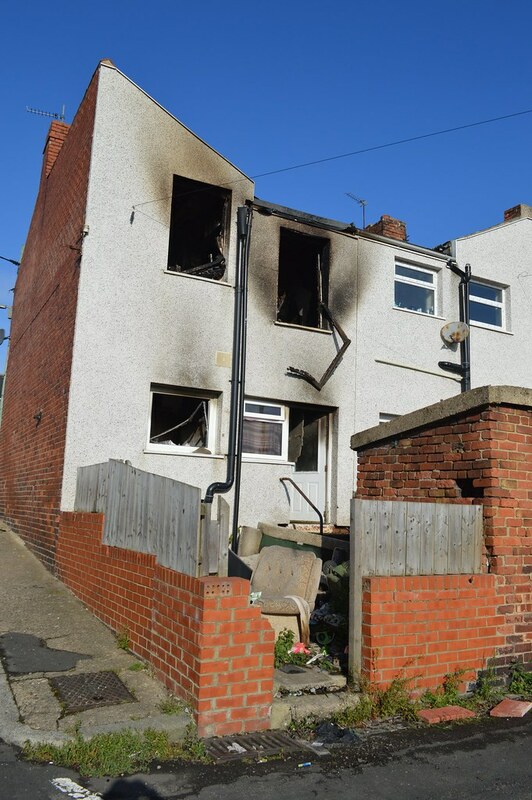 This year alone there have been at least three house fires in the A and B streets of Easington Colliery. These acts of arson are seemingly being ignored by the authorities. Along with the other concerned local residents I hope it won’t take someones death as a result of these arsons attacks, before the powers that be, take any action. 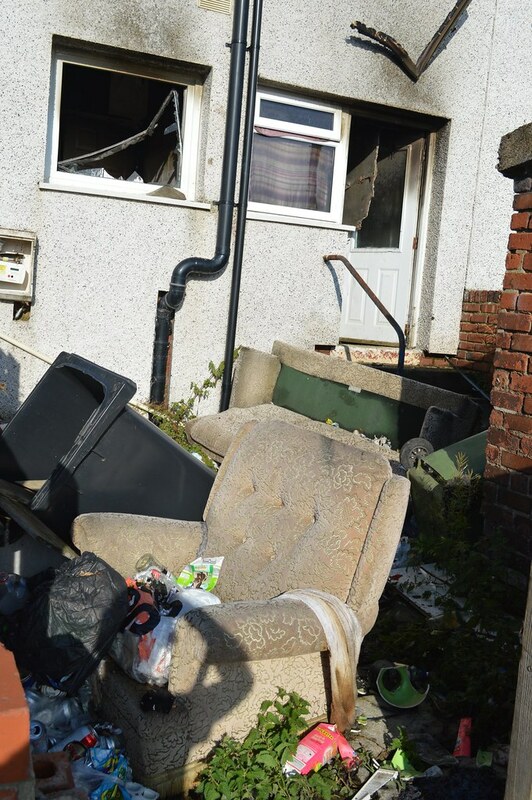 This entry was posted in Easington Colliery and tagged Anthony Street, Easington Colliery, War Zone on August 17, 2016 by Richard.